SMEs over the years have evolved significantly. In terms of economic significance, SMEs which were relatively less prominent in the past have now become a major force in the Sri Lankan economy. They also possess the potential to develop in to large scale businesses in the future. Furthermore, SMEs have seen making deeper penetration in to a vast number of industries such as agriculture, fisheries, textile, handicrafts, floriculture, constructions, retail, etc. They are also seen to be embracing technology to greater extents, with quite a number of successful SME ventures being based on online selling platforms. We also see a considerable and an encouraging increase in women participation in SMEs. What are the biggest challenges facing SME clients? Access to financing at the right time could be a challenge still faced by SMEs. This proves true with start-ups in particular. The gap in knowledge about the avenues available for SMEs in the formal banking stream and absence of basic project proposal handling skills may contribute to this challenge. This could result in the ventures resorting to informal high cost borrowings, which would adversely affect their funding structure and profitability, and even the potential to expand further. Technical know-how could be another challenge. Especially if the SMEs are exporters who are required to meet international manufacturing standards,and are competing with other leading manufacturers at a global level, it is vital that they have access to this knowledge, are aware of the best practices and possess the technical know-how. There could be instances that certain SME industries do not have such support, or are not making the full use of the support available. Technology is yet another aspect which may pose a challenge, as well as an opportunity to SMEs. Whilst a number of start-ups are doing exceptionally well via on line platforms and social media, there is still a gap to the extent which technology is adopted by SMEs. Order taking, inventory controls, customer relations and marketing are some key areas in which SMEs could deploy technology, to make their ventures more competitive. Can you tell us about your Business Banking Unit and how it will support the growing needs of SMEs? 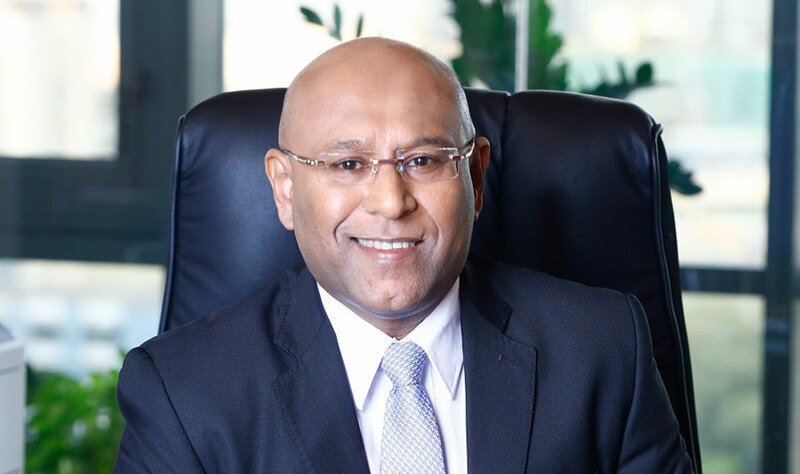 NDB recently launched its Business Banking Unit which includes a new specialized offering for SME business owners in a variety of savings, investments and lending products. Customers of the business sector can now enjoy a host of tailor made services and focus on the prosperity of their business while the Bank focuses on adapting the banking practices around the customer’s business needs, be it preferential rates and discounts on transactions, quick approvals for SME loans, trade financing, bank guarantees or mobile banking including dedicated Relationship Management, with a precise understanding of the importance of time for the entrepreneur. From Business Star current accounts for small scale business owners to Business Class and Business Premier for Middle Market business owners, NDB Business Banking benefits include specialized current and savings accounts and investment opportunities for business owners where the product offerings differ according to the scale of business. Business Banking also offers project loans and re-finances schemes for business expansions or asset replacements, with flexible terms. Small scale business owners can now obtain business loans of up to LKR 10 million with a hassle free, quick approval process, where all credit documentation has been centralized. NDB Business Banking customers will also receive a complete suite of Trade Products and Services and Unique Value Added Services for Trade Clients with Supply Chain Finance. Meanwhile, Business Banking also offers digital transaction banking which make it easier for business owners to perform transactions on a digital platform. Retail Customer needs have always been at the forefront of product development at NDB, one example of this is the Dream Maker Loans. Can you tell us more about this type of loan and how it differs from other loans offered? We offer the industry’s most popular and sought after personal loan product, branded as Dream Maker Loan. Living up to its self-explanatory title, the product indeed assists the beneficiaries actualize their dreams via a convenient and non- restrictive set-up. The loans are offered for any legitimate purpose, may it be for educational/ higher studies purposes, home improvements, acquisition of a motor vehicle, a wedding, etc. We take pride in providing the necessary financial empowerment to realize the personal dreams and aspirations of our clients. The internal processes in handling this product are streamlined in such a manner, that an eligible candidate’s loan will be approved within one day, under the Fast Track method. NDB’s personal loan product surpasses the competitor offerings, considering the flexibility it offers via means such as being collateral free and a free insurance provided against death or permanent disablement to the borrower. Any individual with the required repayment capacity may obtain a Dream Maker Loan, whether the person is salaried, a professional or a business owner. Dream Maker loans make a significant contribution in uplifting the lifestyle of individuals and enhancing their quality of life. The product offering is further strengthened by our “Feet on street” sales force, which disseminates banking at the door-step, whereby they visit the customers either at their work places or residence. Another great example we note is your recently launched NDB Araliya an account for women; can you tell us about this unique product, what led to its creation and the benefits? NDB Araliya was developed in response to the changing dynamics of the females within the economy. 51% of the Sri Lankan population is females, and their contribution to the national economy is significant with their presence in many sectors. They also make invaluable contribution in the capacity of home- makers. NDB Araliya is a guiding hand to these countless women in Sri Lanka, giving them the support they need to take care of themselves and their families, making women, in every essence, the true caretaker of the family. It is to her that NDB has specifically designed “Araliya”; a savings account which will support women and their families through good times and bad. Araliya is a unique women’s savings account in the Sri Lankan banking industry that provides life insurance and medical insurance not just for the account holder but also for her immediate family members. It also comes with added benefits of gifts at the 21st birthday and a free NDB Shilpa children’s savings account upon the birth of a child. The product is designed in such a way that encourages women to save, and inculcates the habit of regular savings. It truly yields financial independence to aspiring women in ensuring the wellbeing of themselves as well as their loved ones. Do you have other innovative products you’ll be launching this year? We are constantly looking at means to enhance the experience our customers have with NDB. In doing so, we look out for innovative solutions as well as enhancements to our existing offerings. As of now, our product portfolio is quite diverse with lifestyle offerings to individuals, SMEs, corporates, middle markets and even micro ventures. We will augment these offerings through the deployment of digital solutions thereby increasing customer convenience.We will also come up with new products in response to the evolving customer dynamics. As we have now embarked on a digitally driven journey, our core focus in terms of innovation would be in that line. How are customer behaviors and the increased movement towards cashless transactions changing banking in Sri Lanka? There is indeed an increasing trend towards cashless transactions. This has trigged banks to come up with digital based solutions to enable seamless, rapid and secure payment methods. E-wallets, mobile banking platforms, online banking platforms and even card based payments are made available to customers by banks, with novel features to ensure customer convenience. This has led to banks making considerable investments in such digital infrastructure. It has also brought in a need for added security and data protection methods. How is NDB supporting the social economic growth in Sri Lanka? We are National Development Bank PLC. National development is in our identity. It forms a core purpose of our existence. Our support to the economic growth of SriLanka is multifold. We empower individuals and families in financial prosperity through our lifestyle banking offerings. We have a strong savings proposition which we offer to our customers, through tailored products to match any stage in life. We strongly believe that empowerment of individuals and families play a crucial role in overall economic development of the country. We have one of the strongest project financing units in the Sri Lankan banking sector. Our Project Finance Unit has extended financial support to a large number of development projects taking place in the country. Colombo’s skyline is evolving with large scale residential, leisure and infrastructure facilities, and we are glad to be a part of this economic upbeat. Our contribution to SMEs and micro finance ventures, in both financial and non-financial aspects and our assistance to corporate customers all make direct and valid contribution to national economic development. We had an exceptional year of performance in 2017. We have shown sound results in H1 2018 as well, above market averages, as evident in our published results–inline with our new strategic goals of growing the SME and Retail base of our business. 2018 has been satisfactory so far. The Bank embarked on a new strategy in 2017, targeting 2020 to become a systemically important bank. With the successful implementation of this strategy, we are now strategizing on our way forward beyond 2020. 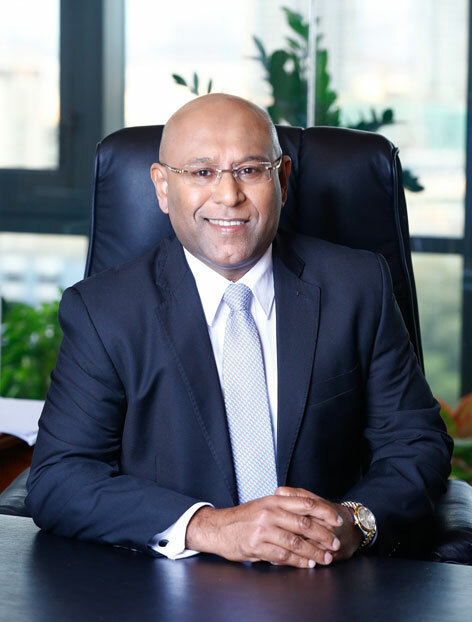 We also bring in our NDB Group synergies and expertise in a host of capital market solutions including investment banking, wealth management and stock broking activities, so our customers can have all their financial needs met under one group of companies.